Gemini Club's promise extends beyond the stage. “Time Out Chicago once referred to us as the poor man’s Cut Copy,” Gemini Club frontman Tom Gavin tells me during a recent chat at the band’s practice space near the West Loop. As the magazine's chief nightlife writer, I’m quick to proclaim my innocence: It wasn’t me! They consider the description a compliment. Whew. 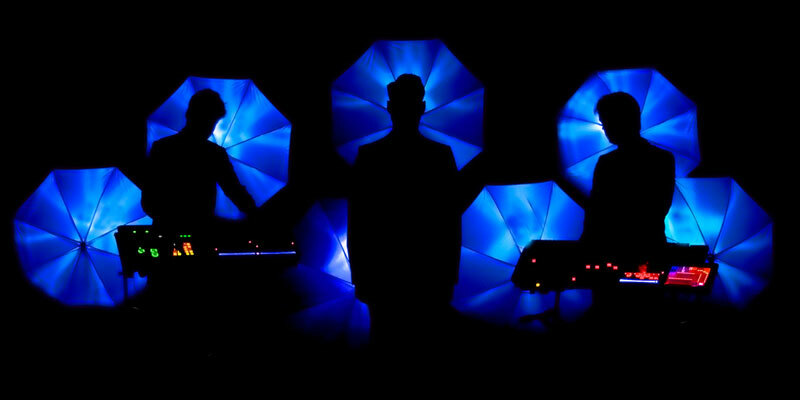 The indie-electronic trio, which also includes sound manipulators Dan Brunelle and Gordon Bramli, does resemble the Aussie outfit to which it is often compared, but there’s also a lot that sets it apart. Both bands’ shows equal a dance party, but Gemini Club looks less like a traditional band onstage. Brunelle and Bramli both man what they call rigs, stands adorned with all manner of controls and computers that take the place of guitars or stacks of keyboards. I also don’t think Cut Copy is releasing a limited-edition mini sequencer and synth like the Gemini Capsule, which the band debuted in Chicago for the release party of its latest EP, Here We Sit. Product development genuinely interests Gemini Club. So do a lot of other savvy marketing techniques. Earlier this year The New York Times did a think piece defining today’s twentysomethings as what it called Generation Sell. Gavin, 28, Bramli and Brunelle, both 25, fit the mold. “Everybody’s business-minded,” Gavin says. “We look at it that way. Let’s be smart. Let’s make good decisions. The way people find music today, why even have a record label?” Notably, the band doesn’t. Instead it works in tandem with a PR company and a strategic development firm. These three think of Gemini Club as a company (it actually is an LLC), and that sets the band apart. Well, that and the music.